Goaltender Curtis McElhinney stopped all 23 shots he faced Tuesday to backstop the visiting Carolina Hurricanes to a 4-0 win over the Pittsburgh Penguins. It was McElhinney's ninth career shutout, first of the season and first in his career against Pittsburgh. Carolina, which kicked off a season-long five-game road trip, is 4-1-1 in its past six games and has won 11 of 16. The Hurricanes are still shy of the playoff cutoff in the Eastern Conference but moved to within four points of the Penguins in the tight Metropolitan Division. 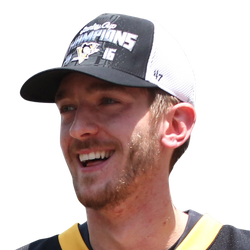 Matt Murray made 28 saves for Pittsburgh, which has lost two straight and four of six. Murray has lost two starts in a row and four of six after a 9-0 run. He was the one with the shutout in the teams' first meeting, a 3-0 win Dec. 22 at Carolina. 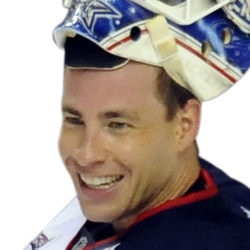 McElhinney made his first start since Jan. 15 after recovering from a knee injury. He made several strong saves; among them, he sprawled onto his stomach to stop Jared McCann near the right post in the first period and stopped Garrett Wilson point-blank and Nick Bjugstad uncontested from the slot in the second. Martinook, playing in his 300th career game, gave Carolina a 1-0 lead with 44.7 seconds left in the first. He took a drop pass from Brock McGinn, and his shot from the top of the left circle grazed Murray and went in off the far post. That gave Martinook 12 goals, a career high for a season. Pesce gave the Hurricanes a 2-0 lead at 12:58 of the second on a wrist shot through traffic, particularly a screen provided by teammate Nino Niederreiter. Ferland added an empty-net goal with 1:31 left in regulation, and Svechnikov scored around Murray's right skate with 42 seconds remaining. Referee Brian Pochmara left after the first period because of an undisclosed injury, leaving Dan O'Halloran to work the rest of the game as the lone referee.